I sure hope that when you read this Spring has sprung! As June approaches I am acutely aware of the time that has passed since September. June hurtles towards us and there is still so much to teach, so much to learn, and so much to do. Leslie and Annette continue helping our youngest with the exciting process of learning. Our two’s have grown and matured at an impressive rate. This month they will introduce the children to the colors all around us! They will explore color through food, animals, textures and lots of books. The three-year-old classes will be introduced to Eric Carle, the celebrated children’s author. His books are delightful and the children will enjoy not only his emotional characters, but also his colorful and crafty illustrative techniques. Lots of cooking this month, thanks to Walter the baker. Our four classes will study Dr. Seuss and his zany characters. The Cat in the Hat and all of his friends—Thigwick, Bartholomew Cubbins, Horton and Yertle become our vehicles for learning. Rhymes, math, crafts and songs all focus on the Seuss themes during these last days. It all ends with the notorious Breakfast at Beach Manor featuring Green Eggs and Ham (of course)! The children have a grand time with all of this while an incredible amount of learning takes place. The Pre K classes will hit the trail and learn about horses. This is an exciting unit for the children, complete with pony rides and a cookout around the campfire (pretend of course!). Ms. Heim’s Kindergarten class will go around the world. It’s a full month’s trip, as we learn about children in other countries. The emphasis of study is the dress, food, homes, and customs of countries in Europe, Africa and Asia. If any of you have traveled and can share pictures or items with the class, please call me or your child’s teacher. May 14th is Conference day. I will send home the conference schedule later. School is closed while you discover what wonderful children you have. And they really are wonderful! Child care will be available during your conference and for those enrolled in our all day program. Ms. Karen will be putting together our Spring Program again this year. The big event will take place on Wednesday, April 10th and Thursday, April 11th. Class performances are listed below. It is Kindergarten and MDO parents turn for goodies for the grownups. We’ve begun the tedious process of updating the Parent Handbook and roster for next year. If you plan on returning and haven’t told us, better do it soon. If you are not coming back, remember to return the little green binder you received last fall. We need to recycle them. We have sent out information on the summer programs at Bellamy, Broad Bay and Greenbrier. If you missed it and are interested, talk to Chris. Beach EIN # is 54-1812375. Reminder: As the weather gets warmer, the children are spending much more time on the playground in the afternoon. Please enter the school through the front door rather than the playground. If your child is a full day student, please remember to sign your child in and out. Thanks! March has arrived with occasional warm days that promise spring. February was an intense month and our children grew in knowledge as they explored Pete the Cat, Bears, past Presidents and the of course our zany Dr. Suess. The month of March takes most classes outside. Ms. Leslie and Ms. Annette continue to help our youngest children with the exciting process of learning. The children will explore the concept of opposites as they compare and contrast the world around us! Our three year olds will begin the month with an in-depth analysis of several nursery tales. The Three Pigs, The Three Bears, and The Gingerbread Man highlight this unit with much puppetry and cooking. We even grow a beanstalk for Jack to climb! The threes end the month with Little Red Riding Hood and homemade bread baked by the Little Red Hen herself! The four year olds discover the world of Beatrix Potter. After they are thoroughly entranced by Benjamin Bunny, Peter Rabbit and Jeminiah Puddle Duck, they have a marvelous English tea party. We have a good bit of fun with this unit while introducing the children to some excellent literature. Because Beatrix Potter’s books are so delightfully illustrated, reading her stories to your children at home will help reinforce her world in their minds. Ms. Diane and Ms. Sharon’s Prek students will study about our feathered Birds of Prey. You will be truly impressed with the depth and scope of your child’s knowledge as he/she learns to identify several species of our feathered friends. The study ends with a fantastic bird party –pass the worms, please. The Kindergarten class will now take a trip back in time to the age of reptiles and study dinosaurs. These budding paleontologists learn to identify close to twenty-five dinosaurs before attending a dinosaur hunt at the end of the month. This is one of our favorite studies and the children love it. In Spanish the children will be learning about clothes. You may hear our child say I need my la Caquetá y el abrigo (coat and sweater) as we finish winter and enter spring. Spring Break is from April 15th-April 19th. We will have our annual egg hunt on April 8th and 9th. Your child’s teacher will communicate to you when they are planning their hunt. Please send in an empty basket or bag, labeled with your child’s name on the appropriate morning. Pretend grass is fine, please no candy or stuffed animals. We will close at the end of the day Friday, April 12th for Spring Break. Both student and teachers will take a well-deserved vacation before returning for the final busy weeks of School. Ms. Karen will be putting together our Spring Program again this year. The big event will take place on April 10th and 11th. . Class performances times are listed below. It’s the Kindergarten and MDO parents turn to provide goodies for the grownups on the porch. Many of you have inquired about our summer program that is offered at Bellamy, Broad Bay and Greenbrier Manor. It is a wonderful program patterned on the school year and adapted for the summer. It offers continued play, academics, socialization and crafts. The children have plenty of opportunity to use the computers, dress ups, easels, puzzles, games and train sets. The summer registration form is attached. Enrollment is limited, so please return the registration form if you are interested. We will use the InfoSnap online enrollment procedure for our summer program registration. It will remain a two-step process. Step one is the submission of the summer pre-registration form and fee. Step two is the online submission of the InfoSnap registration form. We will need the preregistration form and fee before you submit your online registration. It looks like a full and fun month. We are two thirds through the year, and the growth in the children is incredible. They have learned a tremendous amount in these past months. We feel so fortunate to have such a rewarding job. Your children bring joy in so many ways! Registration for next year is going well. 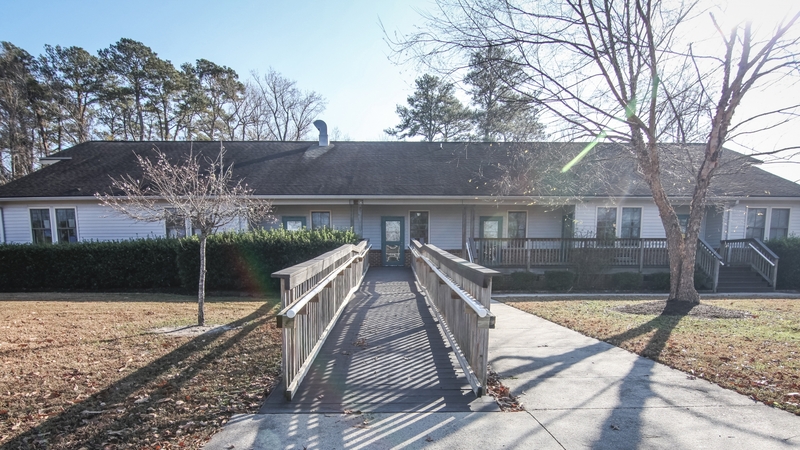 It is satisfying to know that so many of you are pleased with Beach Manor’s program. Thank you for all your support and cooperation. Without your smiles and encouragement my job would be so difficult. Instead, it’s a joy! Openings are still available in some of our classes even though I have opened registration to the general public. If you intend to register your child for next year and haven’t yet done so, I urge you to turn in your form along with your registration fee immediately. The only way to be sure of a place next year is to turn in both the registration form and the registration fee. Many of you have asked questions about our kindergarten program. 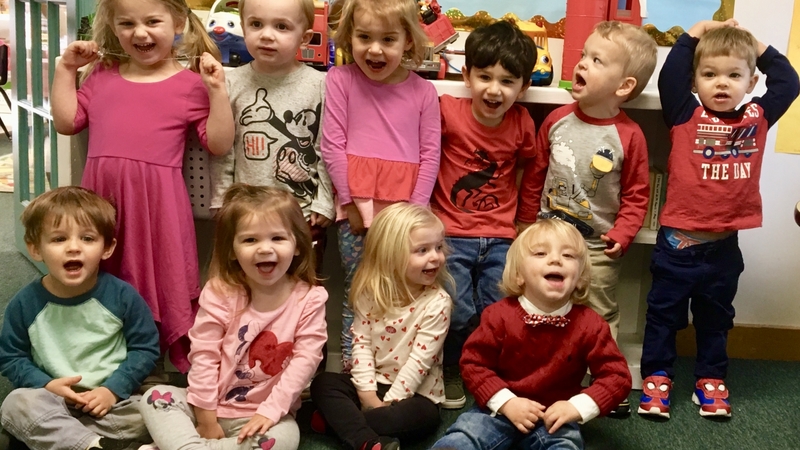 I realized that when most of you initially register at Beach I go into great detail about the three year old program or the four year old program, but often kindergarten comes as a wonderful surprise. Our kindergarten program continues the phonics instruction begun in the four year old program .It includes a very strong short vowel reading, writing, and spelling curriculum that leads to long vowel usage in the spring. The children learn to recognize and write numbers to 100 and beyond; they learn math facts to 20, graphing, fraction recognition, and how to count money. The joy of the program, however, is the incredible amount of information the children learn in their unit studies (constellations, musical instruments, and dinosaurs, children around the world, the human body, and other very hands on science studies.). The goal is, as always, to enhance their self-esteem. Having so much knowledge about their world gives them tremendous self-confidence. They acquire the skills needed to put them at the top of their first grade class. Your response so far for next year is gratifying. You may not be aware that if you declare Beach as your primary child care provider, you may be able to register your child in the kindergarten class at Princess Anne, North Landing, Three Oaks and Red Mill Elementary. Your child can attend Beach for half the day and public elementary school for the other half. This gives them both the community school experience and the academic exposure you have come to expect from Beach Manor. Our van will transport children to or from Three Oaks, Red Mill and North Landing. Princess Anne sends the public school bus. All the other elementary schools are just too far for us. With Three Oaks and North Landing going to full day Kindergarten next year, this may change. If you have a home school that you would like us to consider transporting to/from please come and talk to me. School closings or delays will be posted on our website at www.manorschools.com. The announcement will pop up immediately on the homepage. You will also get an email as soon as a decision is made. We typically follow the public school’s closings initially. We try our best to keep children, parents, and our staff safe during these times. Please return any clothes your child may have borrowed from school due to accidents or playground mishaps. We’re getting low on our supply of spare socks, underwear, and pants. It helps so much to have a change of clothes in the bottom of your child’s book bag. Check coats and jackets. Sometimes a child grabs the wrong coat on his way out the door. So many jackets are similar and make ownership difficult to distinguish. PLEASE WRITE YOUR NAME ON THE LABEL!!! Just a quick reminder of our illness policy: children with a fever will be sent home immediately. Children are not to return to school until they have been fever free for twenty four hours. Do not give your child medicine in the morning to bring down his/her temperature and send him/her to school. The only way we can contain these illnesses is by keeping the sick children at home. March has arrived with occasional warm days that promise spring. 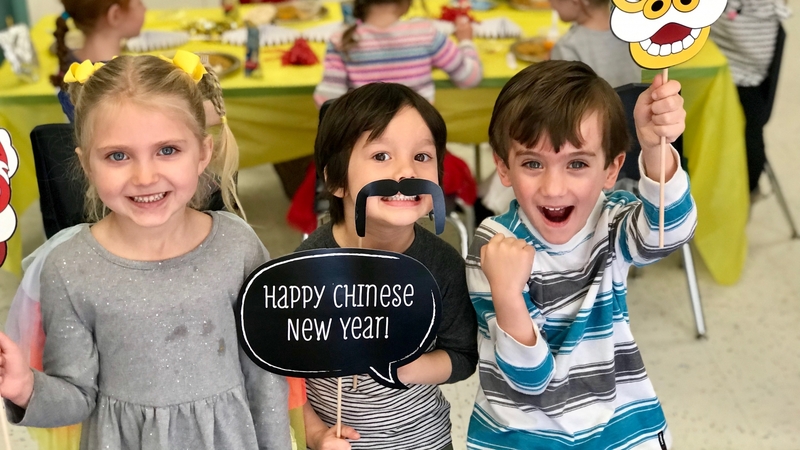 February was an intense month, and our children grew in knowledge as well as stature as they explored other cultures, colors, community helpers, birds and past presidents. Ms. Jess and Ms. Susanne continue to help our youngest children with the exciting process of learning. The children paint, color and cut as they learn about shapes. The three year olds wave good bye to our community helpers and turn their focus to one of their favorite topics-food! They learn about nutrition and becoming expert dietitians. Our goal is to help the children learn about “good” foods and their source. This unit involves quite a bit of cooking and sampling with each food group. They will make bread, taste meatballs and fish sticks, enjoy some fruits and vegetables, and finish the month with a delicious Nutrition Party. It’s a terrific (and fattening) month for the threes. Our four year old classes hit the trail as they learn about horses, cowboys and Rodeos. This is an exciting unit that combines the factual information on horses, with delightful stories of the American cowboy. In keeping with their developmental levels, the fours will enjoy stories and songs about the wild west. The unit ends as the children enjoy a “rodeo”, BMS style. Letter and number recognition as well as phonics instruction continue on an individual basis. Ms. Sandra’s PreK class looks at our world from a geographical and environmental angle. Ms. Sandra introduces her children to some basic geographical concepts using habitats as her motif. By mid-month the children are learning about the fragility of various habitats and the interdependence between the environment and its inhabitants. An investigation of endangered species concludes the unit. Our Spring Break will be the week of April 15th –19th. We plan to dye eggs on April 9th and 10th. Our annual egg hunts will be April 11-13th. Your child’s teacher will be sending out more information. We ask that you send in a basket or bag labeled with your child’s name on it the morning of their hunt. The pretend grass in the basket is fine, but please no candy or stuffed animals. The following week is spring break. Both students and teachers will take a well- deserved vacation before returning for the final busy weeks of school. Registration is going beautifully thanks to all of you. Keep on talking! Three of our four schools still have openings. If you plan to return next year and have not yet turned in a pre-registration form, talk to me soon. We would hate to fill your spot! Many of you have inquired about our summer program. It is patterned on the school year adapted for summer. It offers continued play, academics, social, and craft opportunities. The children have plenty of opportunity to play dress ups, easels paint, puzzles, games, and water play. The registration forms for summer will be available in the lobby. Enrollment is limited so please return the enclosed registration form if you are interested. We will use the Info-Snap online enrollment procedure for our summer program registration. It’s a two- step process. Step one is the submission of the summer preregistration form and fee. Step two is the online submission of the Info-Snap registration form. We will need the preregistration form and fee before you submit your online registration. Parents who choose to pay the registration fee via credit or debit card may do so through our online tuition portal, Diamond Mind (http://bellamymanor.diamondmindinc.com/). It looks like a full and fun month ahead. We are two thirds through the year, and the growth in the children is incredible. They have learned a tremendous amount in these past months. We feel so fortunate to have such a rewarding job. Your children bring joy in so many ways. March has arrived with occasional warm days that promise spring. February was an intense month, and our children grew in knowledge as well as stature as they explored dinosaurs, opposites, zoo animals, the wild west and past presidents. This month the 2’s children will explore the many adventures of Pete the Cat. These best-selling picture books present the wiry Pete with his white shoes and eclectic friends showing that it’s cool to be you. With boundless poise, creativity and energy, Ms. Kristin and Ms. Charlynn do an exceptional job with their charges. With their usual enthusiasm, our three year-old teachers will introduce life on the farm. The focus of this unit is farm animals and their products. Although the school doesn’t take field trips, the petting zoo at the Norfolk Zoo has many farm animals the children can touch and feed. As the children become more aware of their environment, their curiosity deepens. These studies are designed to help them organize their world. Ms. Jamie will be right there with them to create even more connections in the Spanish language! Bring your child to the zoo and listen to all the new words they have learned this month! Our four-year-olds take an in-depth look at nature and begin their study of local birds. This is really an impressive unit. By the time it’s over, the children can accurately identify about twenty-five different species of birds as they return to Tidewater for the spring. It also ends with a marvelous bird party (pass the worms, please)! Our pre-kindergarten classes will now study the world of insects! Bugs are fascinating little creatures and the children start looking very closely at them with this unit. We hope to raise a crop of ladybugs and watch our family of ants build their home! The kindergarten classes will study Dr. Seuss and his zany characters. The Cat in the Hat and all his friends–Thigwick, Bartholomew Cubbins, Horton, and Yertle become our vehicles for learning. Rhymes, math, crafts, and songs all focus on Seuss themes during these days. It all ends with the notorious Breakfast at Broad Bay featuring Green Eggs and Ham (of course!). Thank you to those that have completed the online registration through InfoSnap. If you have not, please follow the previously emailed link and complete the enrollment form so your child is fully enrolled for fall. Let me know if you need the link again; I will be happy to resend! 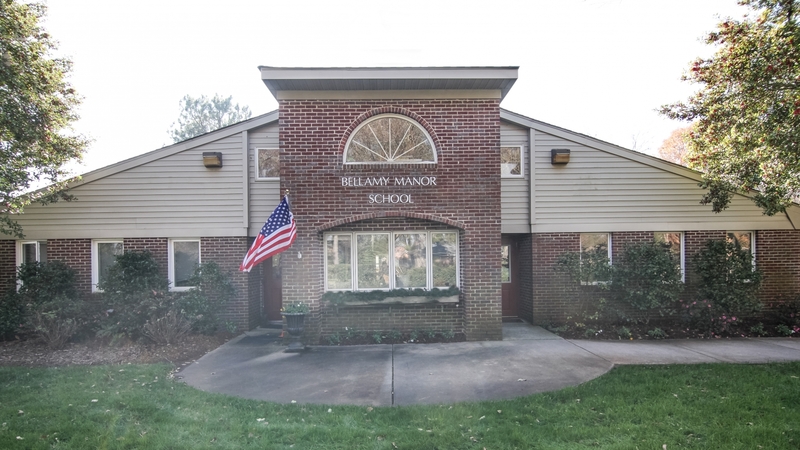 Although most classes are full at BBMS for Fall 2019, there are openings at our other Manor Schools in the area. The curriculum, schedule, equipment and even the parties are exactly the same! Many of you have inquired about our summer program. It is patterned on the school year and adapted for summer. It offers continued play, academics, socialization, craft activities, and tons of outside play! You will receive summer information through both email and as hard copies coming home with your student. Please send back the form and registration fee to reserve a spot for your child ASAP. If February’s warmth was a hint, March will declare that spring is here. Last month was an intense month and our children grew in knowledge as well as stature as they explored life on the farm, leave Farmer MacGregor’s garden, past presidents, and themselves. Ms Loretta will introduce the children to the colors all around us! They will explore color through food, animals, textures and lots of books. It will be a truly exciting month for our little ones! The three-year-old classes will be introduced to Eric Carle, the celebrated children’s author. His books are delightful and the children will enjoy not only his emotional characters, but also his colorful and crafty illustrative techniques. There will be lots of cooking this month – Thanks to Jack and his Mama and Walter the baker! Bridget, Kim, Michelle, and Kari’s four-year-olds are in for a treat this month because it’s BEAR MONTH! From Corduroy, Pooh, and Paddington to pandas and polar bears they investigate bears, their habits and habitats. Some activities you might hear about include packing Paddington’s suitcase, painting Pooh, and ultimately our teddy bear picnic. The fours indulge in fantasy to their heart’s content. Ms. Gwen’s pre-kindergarten classes investigate weather – clouds, rainbows, snowflakes, and wind. This unit is designed to be quite a hands on, scientific approach to the causes of different types of weather. Letter and number recognition as well as phonics instruction continue on an individual basis. The kindergarten class goes around the world. It’s a full month’s trip, and we learn about children from other countries. The emphasis of study is on the dress, food, homes, and customs of children from countries in Europe, Asia, and Africa. If any of you have traveled and can share pictures or souvenirs with the class, please let Tracy and Stephanie know. In Spanish, we will be learning about clothes. You may hear your child say I need my la chaqueta y el abrigo (coat and sweater) as we finish winter and enter spring. Registration is going beautifully thanks to all of you. Keep on talking! If you plan to return next year and have not yet turned in a registration form, talk to Jackie soon. We would hate to fill your spot. Many of you have inquired about GMS’s summer program. It is patterned on the GMS school year adapted for summer. It offers continued play, academics, social, and craft opportunities. The children have plenty of opportunity to use the iPads, dress-ups, easels, puzzles, and games. Enrollment is limited so please return the preregistration form if you are interested. We will use the InfoSnap online enrollment procedure for our summer program registration. It’ll remain a two-step process. Step one is the submission of the summer preregistration form and fee. Step two is the online submission of the InfoSnap registration form. We will need the preregistration form and fee before you submit your online registration. Parents who choose to pay the registration fee via credit or debit card may do so through our online tuition portal, Diamond Mind (http://greenbriermanor.diamondmindinc.com/). Spring Break is coming up April15th thru April 19th. Our spring celebration will be the week of April 8th. We plan to dye eggs and have our egg hunts on April 11th and 12th. We will close at the end of the day Friday April 12th for Spring Break. Both students and teachers will take a well-deserved vacation before returning for the final busy weeks of school. Finally, school closings or delays will be posted on our website at www.manorschools.com. The announcement will pop up immediately on the homepage. You will also get an email as soon as a decision is made. We typically follow the public school’s closings initially. We try our best to keep children, parents, and our staff safe during these times. February may be the shortest month, but it is also the busiest. With Valentine’s Day, two president’s birthdays, Ground Hog Day, and Chinese New Year, February always promises excitement. Every class will devote some time to these celebrations. Ms. Annette and Ms. Leslie, our pillars of patience will introduce the many adventures of Pete the Cat. These best-selling picture books present the wiry Pete with his white shoes and eclectic friends showing that it’s cool to be you. With boundless poise, creativity and energy, our MDO ladies do an exceptional job with her charges. With easel painting, sponge and spin art not to mention our backed papers this is a grand time for our youngest. The four year olds are in for a treat this month because it’s BEAR MONTH! From Corduroy, Pooh and Paddington to pandas and polar bears, they investigate bears, their habits and their habitats. Ms. Diane and Ms. Sharon’s classes are digging out from their snow bank. After they turn in their meteorologists badges, PreK will cover the hodgepodge of February: Ground Hog Day, Lincoln and Washington’s birthdays, Valentines Day and Chinese New Year. 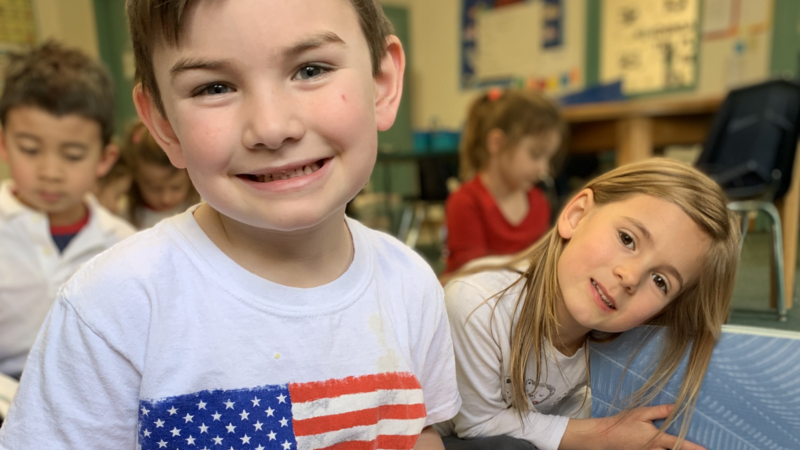 It’s a great time for the children to learn a bit about our country’s history, the Pledge of Allegiance and those anecdotes about George and Abe. Busy! The kindergarten classes will study Dr. Seuss and his zany characters. The Cat in the Hat and all his friends–Thigwick, Bartholomew Cubbins, Horton, and Yertle become our vehicles for learning. Rhymes, math, crafts, and songs all focus on Seuss themes during these winter days. It all ends with the notorious Breakfast a Beach Manor featuring Green Eggs and Ham (of course!). The children have a grand time with all of this while an incredible amount of learning takes place. Valentine’s Day with its messages of love and friendship is special to children and Beach Manor School. Each class exchanges valentines and has a party for Valentine’s Day. Enclosed is a list with the number of children in each class. On February 13th (or 14th) please send in valentines for each student in your child’s class, and we’ll take care of the rest. The teachers have requested that you NOT “address” the valentines–just sign them with your child’s name. This way the children can easily pass them out. Your child’s teacher will let you know your party day/date. Registration for next year is going well and several classes are already full. Registering online with Infosnap seems to be a HITJ!! Thank you for all the positive feedback!! It is satisfying to know that so many of you are pleased with Beach Manor’s program. Many of you have asked questions about our kindergarten program. I realized that when most of you register I go into great detail about the three and four year old program but kindergarten comes as a wonderful surprise. Our kindergarten program continues the phonics instruction begun in the four year old program. It includes a very strong short vowel reading, writing, and spelling curriculum that leads to long vowel usage in the spring. The children learn to recognize and write numbers to 100; they learn math facts to 10, graphing, fraction recognition, and how to count money. The joy of the program, however, is the incredible amount of information the children learn in the unit study (constellations, musical instruments, and dinosaurs, children around the world, the human body, and other very hands on science studies.) The goal is, as always, to enhance their self esteem. Having so much knowledge about their world gives them tremendous self confidence. They acquire the skills needed to put them at the top of their first grade class. 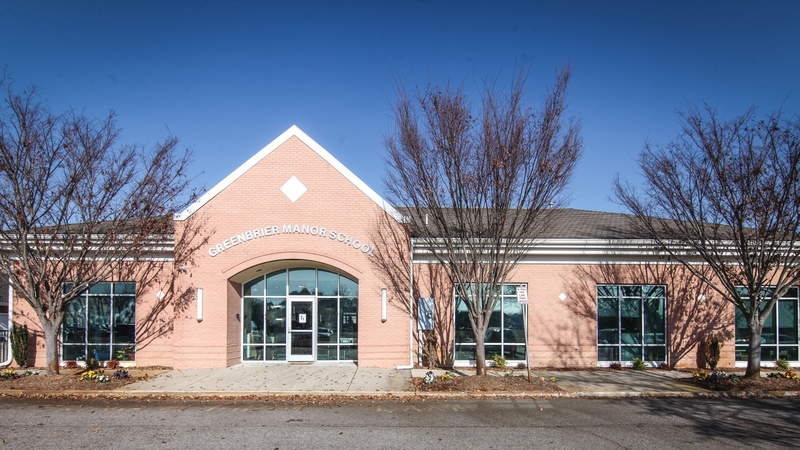 You can register your child in the kindergarten class at Princess Anne Elementary and the public school bus will transport him/her to or from Beach Manor (depends on how our school is scheduled). We also provide transportation to North Landing Elementary, Red Mill and Three Oaks Elementary for children registered in those kindergartens who also wish to participate in our kindergarten program. If you want more information about the kindergarten program, please stop by and I’ll be happy to show you the curriculum.Your response so far for next year is gratifying. Thank you for all your support and cooperation. Without your smiles and encouragement our job would be so difficult. Instead, it’s a joy! Beach Manor’s EIN number is 54-1812375. INCLEMENT WEATHER POLICY. Although our inclement weather policy states that we will close if the public schools close, sometimes it is not necessary. It all depends on the roads and the power conditions. Be sure to check our website under “Special Announcements” at www.manorschools.com. Of course, if your neighborhood conditions are even slightly questionable, stay home. February 18 President’s Day. School closed. Sign your child in and out each day if they are full day students. Label coats and sweaters. Our lost and found is filling up again. Hold your children’s hand in the parking lot and walk them in rather than watching them walk into the building unattended. Date your child’s lunch box each day. Update your addresses, phone numbers, and emergency contact information if they have changed.